If you’ve never used a storage unit before, knowing what size and type to get can be a total mystery. At Space Shop Self Storage, we’ve compiled these tips for choosing a storage unit. Whether you need a climate-controlled unit or a large traditional unit, you’ll find these tips to be helpful in the selection of your next storage unit. Certain considerations come into play when choosing a storage unit. Ask yourself these questions when trying to determine what size unit would work best for your needs. One of the first things to decide on before size is whether you need a climate-controlled unit or a traditional storage unit. If you have temperature-sensitive items like artwork, electronics, leather furniture, and clothing, a climate-controlled unit may be the right choice. Climate-controlled storage units help keep your valuables in their original condition. These types of units come in handy in extreme climates. Living in the humidity of Georgia or South Carolina, many of our renters can benefit from climate-controlled units that are maintained within a set temperature range. How Much Do I Have to Store? 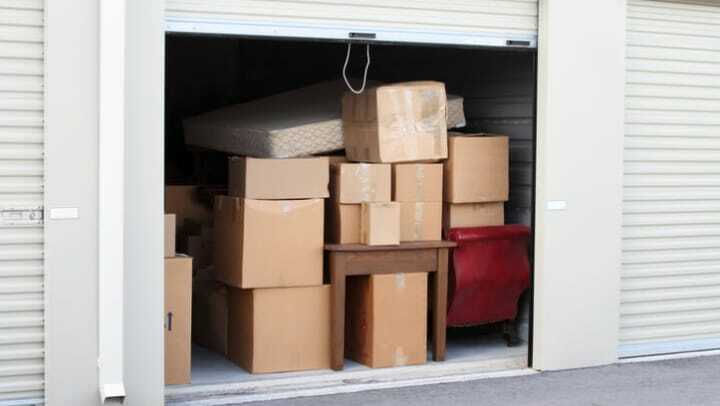 Knowing how much you have to store dictates the size of storage unit you’ll need. It’s important to account for walking space in the unit, so you can access your belongings easily. You may also have to ask yourself if you’ll be adding more items over time or if what you’re placing in storage will be the maximum amount of items inside. If you plan to add items over time, it will be important for you to select a unit that’s slightly large than you need at the moment. While many people choose to get the smallest unit possible for the number of items they have to save money, this can end up being a hassle in the long run. What Features Does the Storage Unit Facility Offer? In addition to the size of the storage unit itself, you must also consider the features of the storage facility. While choosing the right size of unit makes a big difference in your storage experience, making sure it has the amenities necessary for convenience also weighs heavily on your decision. Compare gate and office hours in order to know when you can access your unit and when a staff member will be available to answer questions and provide assistance in person. Does the facility offer dollies, a moving truck, or carts for easy move in and out? Does the facility have 24-hour security cameras and surveillance? What about electronic gate access? When choosing a storage unit, the facility features play a large role in your decision. Space Shop Self Storage employs a team of friendly and qualified storage professionals who can help you choose the right storage unit for your specific needs. Contact us today with your questions about storage unit sizes, prices, and features.